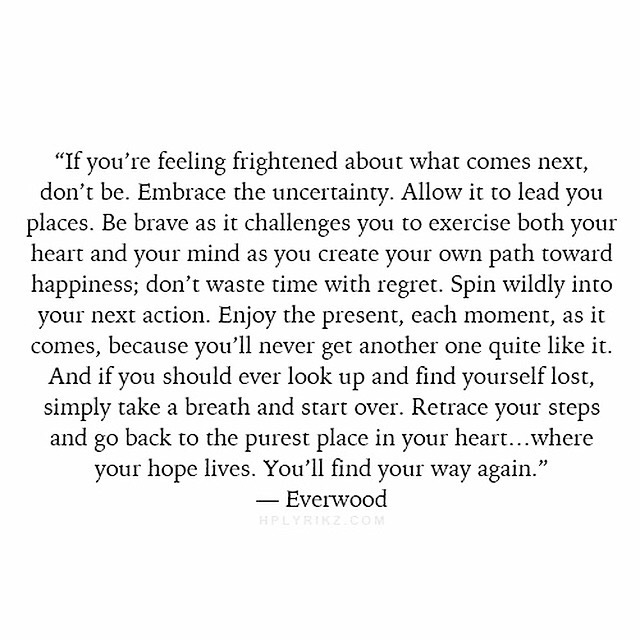 You’ll find your way again. This entry was posted in Change, Hope, Inspirational, Life, New Year, Personal, Posters, Promise, Quotes, Relationships and tagged Brave, Change, courage, Embrace, hope, Life by Susie Lee. Bookmark the permalink. I love this quote, you may like this one as well. Thank you for sharing this beautiful quote!